**1. All work for each entry must be completed by the competitor registered for that competition. 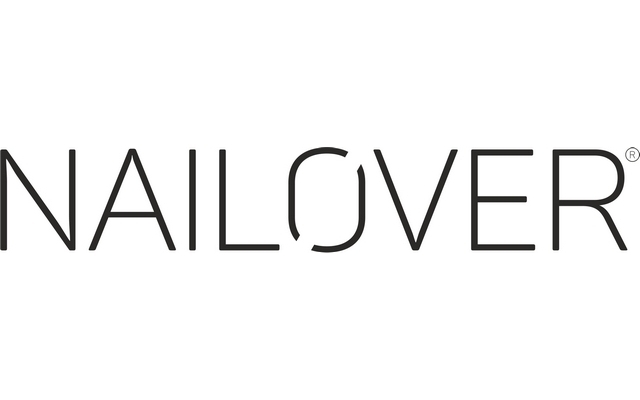 If NAILPRO finds this rule has been violated, the competitor will be prohibited from competing in any NAILPRO or NAILPRO-run competition for the period of one year. 2. ALL WORK MUST BE DONE ON SITE UNLESS OTHERWISE NOTED. No pre-done work is allowed, unless otherwise noted. If NAILPRO finds this rule has been violated, the competitor will be prohibited from competing in any NAILPRO or NAILPRO-run competition for the period of one year. 3. Any competitor or model found not complying with the NAILPRO rules before, during or until the close of the show is subject to possible disqualification and/or point deduction. In the event disqualification occurs after awards and/or prizes, cash or otherwise, have been distributed, the disqualified contestant must return their trophy as well as any and all prizes to NAILPRO staff. He or she will also be prohibited to participate in any NAILPRO or NAILPRO-run competition for one year. 4. Competitors are responsible for making sure that they and their models understand and comply with the competition rules. 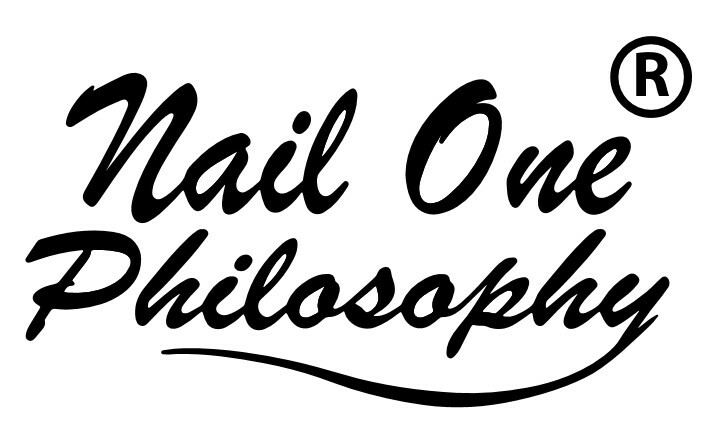 Failure to comply may result in point deduction or disqualification at the discretion of the NAILPRO competition staff. **5. Competitors must report at the scheduled report time to receive entry information. Late arrivals or entries may not be accepted. Nail art entries may be turned in by someone other than the competitor. Nailpro cannot be responsible for artwork turned in by someone other than the competitor. 6. Competitors must supply their own models when models are required. Models must be at least 18 years old, unless a release is signed by the parents, AND one or both parent(s) are present while the minor is modeling. Models will be required to show ID if asked by Nailpro Staff. Only live models may be used. **7. Competitors must supply ALL necessary products and supplies, including lamps and extension cords for each competition they enter, (unless otherwise noted). Products must be in labeled containers. **8. The rules will be reviewed in mandatory questions only or briefing scheduled 5 or 15 minutes before the start of each competition unless otherwise noted. **9. Once the questions only or briefing starts, competitors will not be allowed to touch their models until the start of the competition. Failure to comply will result in disqualification. **10. At no time during a competition may models assist the competitor in any capacity. Models may not blow dust, lick their nails at any time prior to being judged. If a staff member asks the model to stop breaking these rules it will be at the discretion of the floor judge to disqualify the competitor for bad model behavior. **11. Competitors must have all products they are going to use out on their work area, and all cases must be closed. After the competition has begun, competitors may not reach into the case without competition staff present. 12. Bowls containing marbles, stones or any objects are not allowed on or in working area at any time. 13. Any prohibited products or supplies found at a competitor’s workstation will be confiscated, and the competitor may be disqualified at the discretion of the NAILPRO competition staff. Products will be returned at conclusion of award ceremony, and then only by request. 14. Once the competition begins, competitors and/or models may NOT leave the competition area without the permission of the competition staff. Failure to comply will result in disqualification. 15. When a competition ends, competitors must immediately stop working, and move away from their workstations as directed. Competitors are NOT allowed to touch their models again until after they have been judged. Failure to comply will result in disqualification. 15. When a competition ends, models must stand and follow the instructions given by the competition staff. Models may NOT leave the competition area until excused by the competition staff. 16. During the judging process, models may NOT speak to other models or to the judges. 17. Models are NOT allowed to wear any jewelry on their hands, wrists or arms, including watches. Failure to comply will result in a deduction of 5 points in the category of overall. This rule does not apply to models for Fantasy Nail Art. 18. Models are NOT permitted to move the judge’s curtain during the judging process. 19. Competitors are NOT allowed in or near the judging area at any time. Failure to comply will result in disqualification. 20. When directed, competitors must promptly clean their workstations and leave the competition area. **21. Competitors are given 1 (ONE) chair – if chairs are not needed you may use 2, however if there is a shortage you will be required to give up the extra chairs you are using. **22. If at any time a competitor has an issue with the results or decisions of judges it is mandatory that it be discussed in a respectful manner. If the competitor insists on acting disrespectful, it will be at the discretion of the judge to not allow that competitor to compete in any or all upcoming Nailpro competitions. **23. The NAILPRO competition staff reserves the right to final interpretation of all rules. Competitors may turn in more than one entry. It is up to the competitor to get the entry to the competition, and arrange for the entry to be returned to the competitor. NAILPRO will only be responsible for any turn in entries during the competition. We will not be accepting entries prior to arriving on site, and will not be responsible for returning entries to the competitor. **1. Upon registration, competitors and their models give consent to Nailopen Rome and all of its properties to freely use in any form or manner they seem fit for Publication’s magazines, websites and projects. In addition, to reproduce all photographs, videos or such taken at the show, including those taken by photographers, or others hired for the show by Nailopen Rome. 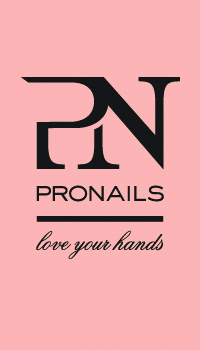 Not limited to anyone working in conjunction with Nailpro Competitions. 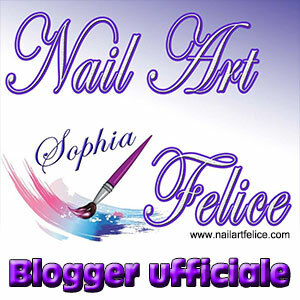 All photos, images and videos or film shot are property of Nailopen Rome and may not be used without written permission. Your registration is considered as a signed release. **1.A. When you arrive to report, the competitor will be given a certificate of participation with wristbands and/or a round sticker with their number. The wristbands are for the model, and are color coded for each separate competition. Novice competitors are given an additional white band, one for each competition they registered in. When putting the wristband on your model make sure it fits like a large bracelet. Do not choke the wrist of your model. PLEASE TURN THE NUMBERS SO THEY FACE AWAY FROM THE MODEL. **2. Themes: Are guideline rules. If the themes are not followed disqualification or point, deductions are possible. 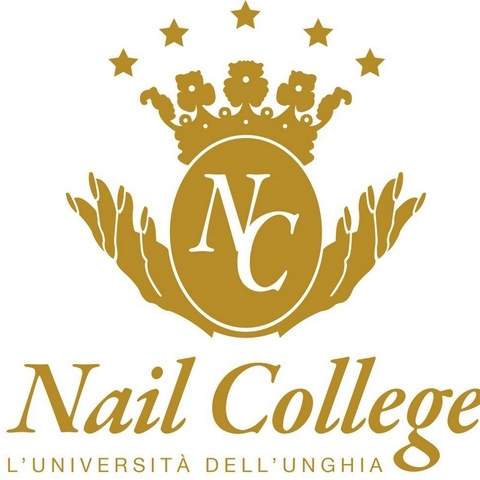 Decision will be that of the Nailpro Competition staff and will be announced during awards ceremony. Please note when a color or shades of a color are given as a theme, it means no other color may be used unless otherwise noted. **3. Competitors must designate their level of experience (Novice or Veteran) when they register, except when competing in a NON-Divisional competition. A novice ART competitor has not won first-place in any DIVISIONAL NAIL ART competition at a beauty show. • A novice Extension competitor has not won first-place in any DIVISIONAL NAIL EXTENSION competition at a beauty show. • A veteran Art competitor has won first-place in a DIVISIONAL NAIL ART competition at a beauty show. • A veteran EXTENSION competitor has won first-place in a DIVISIONAL NAIL EXTENSION competition at a beauty show. • A NON-Divisional competition consists of both Veteran and Novice competitors. No first place win will move anyone up a division. IT’S ALL ABOUT THE BLING! **NEW CHANGE: Novice competitors who win first place in a NAIL ART category will have the choice to compete as a veteran or a novice ONLY when competing in future EXTENSION type categories, and must compete as a veteran for ALL NAIL ART COMPETITIONS. For those competitors that were moved to veteran in the past, as a result of a NAIL ART first place win, and have not won first place in an extension type category, you may now compete in the nail extension category as a novice, however you must still compete in NAIL ART type categories as a veteran. The same is in place if you placed first in an extension category, and have not won in Nail Art you can compete as a novice. **4. Novice competitors who win first-place in a Nail Art Competition award must advance to the veteran level Of Nail Art for the next competition. You may continue to compete, as a novice in any extension competitions provided you have not won a first-place in such a competition. 6. Competitors who compete on a manufacturer’s team must compete using only manufacturer’s labeled products from that company. Files and metal implements are excluded. **7– ONE HANDED COMPETITIONS – We would like to ask if at all possible when sharing a model to do your best to choose a competitor of the same level. Example – Veteran and Veteran or Novice and Novice. It makes it easier at judging. This is not a rule just a suggestion. 8. NAILPRO competitions utilize analytic scoring to judge the entries. Three judges preview the novice entries and veteran entries as two separate groups. Through the process of elimination, the judges select no more than ten finalists at each level to be scored. All other entries are excused prior to scoring by the judges. Non divisional competitions use the same preview and judging system. **9. The finalists at each level are viewed simultaneously during the scoring process. Finalists are evaluated in ten categories; each category is worth a possible ten points, ranging from 1 (Unacceptable) to 10 (Flawless) except where otherwise noted. Each of the three judges is responsible for three to four categories. The categories for each competition are listed in the rules specific to that competition. Only finalists receive score sheets. 10. The competition staff calculates the final scores, and the judges verify the placements before excusing the finalists. Any ties will be broken by the Head Judge. The decision of the judges is final. 11. Access to the competition area is limited to competitors, models, and NAILPRO competition staff. **1. There must be a minimum of four competitors in each competition for the competition to proceed as planned. This means four each in veteran, and four each in novice or four non-divisional. If a competition fails to be held, the novice entrants present will be allowed to compete in the veteran division for that particular competition only. If they win they will not be moved up a level. There will be no refunds of registration fees unless the competition is canceled. 2. The competitor with the highest cumulative score at the end of the competition year, will be crowned NAILPRO CUP CHAMPION for that year. New rules, competitions and/or new information are not up for discussion. Any ideas for improvement may be presented via e-mail to info@nailopenrome.it at the end of the competition year only. NAILPRO competitions are a showcase for the nail industry. The NAILPRO competition staff expects all participants to conduct themselves in a professional, sportsmanlike manner. 1. Competitors will have 30 minutes to complete a Soak-Off Gel Manicure. Work must be applied to natural nails only. 2. No enhancement products other than soak-off gel polish may be present at the station. No regular gel may be used in any capacity. **3. Competitor will have all products to be used, out and displayed on station for inspection of floor staff before competition begins. Items must be in original containers that clearly read Soak Off Gel. 4. No typical manicure will be performed during the competition. Model’s nails should be prepared for soak-off gel polish application before competition start time is called. **5. All files and buffers, must be new. **6. Cleansing products are allowed. This includes oil moisturizers. 7. The natural nails of one hand (competitor’s choice) must be covered with RED soak-off gel polish. 8. The natural nails on the opposite hand must be covered with French-style pink and white soak-off gel polish combination. Traditional French-style pink and white soak-off gel polish colors must be used. 9. No artwork is allowed. 10. Soak-Off Gel will be judged in the following ten categories: smile lines, shape, soak off gel polish application (French-style), finish work, cuticle area, surface smoothness, soak off gel polish application, product control, length, lateral view, color balance and overall impression. 3. Only sheer pink, clear and white enhancement products may be used. Enhancement products containing glitter and/or any other color are NOT allowed. Cover pinks might be used. 8. Moons must be included at the base of the nails and must be sculpted. Competitors will have 45 minutes (unless otherwise noted), to complete 5 TIPS of Foil Embossed Elegance Nail Art (unless other theme is noted). 1. All art work is to be done on site. 2. Tips are ready for art application. 3. The base nails may have one base color applied to the enhancements/extensions. That color may be polished on or sculpted or light cured. If you sculpt with cover powder that is your one color. Or you can polish or paint with ONE color over your nail enhancement. 4. The second color may be applied with any type of gel or paint once the competition begins. 5. NO embellishments may be present on or in the extensions prior to competition including glitters or sparkle of any kind. 6. No build-up of any kind may be present prior to competition. Nails must have a flat surface. 7. Foil Embossed art must cover a minimum of ½ of the nail enhancement/extension. Design may be included on the nail bed. No embellishments are allowed, (unless otherwise noted). 8. If there is a theme must be followed on all 5 tips. 9. Foil Embossed Nail Art must be raised and covered in foil. 10. Embellishments or adornments (when allowed) must NOT exceed 10% of the overall design. 11. Top coat, UV gel sealant or glitter polish may be used. 12. Competitors may use a similar version of copyrighted art, design or logo but they must not be identical to the original. If artwork does not follow criteria judges will determine point deductions. 13. Foil Embossed Elegance Nail Art will be judged in the following categories: originality, visual interest, color, presentation, balance, design, dimension, overall impression, complexity, workmanship, tip length and theme. 14. Any Foil Embossed Elegance Nail Artdesign that wins, or has already won, first place at a NAILPRO competition cannot be reused by the winner or copied by other competitors in subsequent NAILPRO competitions. The NAILPRO competition staff reserves the right to disqualify any design it considers too similar to a winning design. Any discussion with the NAILPRO competition staff about designs will be held in strict confidence. 1. Competitors will have 45 minutes (unless otherwise noted – see daily schedule) to complete 5 tips (unless otherwise noted – see daily schedule) with gorgeous bling type of embellishments. 2. **Tips may already have color or colors applied prior to the start of the competition. Any amount of color or colors is allowed. No hand painted nail art decals or stamping is allowed at any point. 3. The tips may not have art or embellishments on them prior to the start of the competition. 4. There is no preferred length. Any shape is allowed as long it is done with a file by hand. No drilling holes are allowed prior to the competition. 5. Cleansing products (soaps, etc.) and moisturizing products (oils, creams, lotions, etc.) are allowed. 6. **Pre work is allowed. But must be no larger than ½” in diameter. 7. **Only various types of bling stones are allowed unless otherwise noted in schedule. No JEWELRY PIECES, NO stones in a setting or stones or chrystals with with holes in them MAY BE USED. No boullion! But you may use Crystal Pixie. 8. You will be judged on the shape of the finished nails. 9. Top coat, UV gel sealant may be used. 10. Competitors may NOT use any copyrighted art, designs or logos. 11. It’s All About The Bling! Embellishment will be judged in the following categories: originality, cleanliness of application, design, workmanship, balance, amount of bling, visual interest, shape, complexity, brightness, detail and overall impression. 12. Any It’s All About The Bling! Nail Art design that wins, or has already won, first place at a NAILPRO competition cannot be reused by the winner or copied by other competitors in subsequent NAILPRO competitions. The NAILPRO competition staff reserves the right to disqualify any design it considers too similar to a winning design. Any discussion with the NAILPRO competition staff about designs will be held in strict confidence. 1. Competitors will have 2 hours (unless otherwise noted – check daily schedule for time) to complete one hand of stiletto-style nail enhancements and colored acrylic or gel products in original and artistic ways. Tips and adhesive are NOT allowed. Two competitors may share one model. 2. The nails must be a minimum of 2” in length nail. This measurement is from the lowest point of the cuticle to the end of the free edge. Any nails shorter will receive a 10 point deduction of overall score. 3. Cover pink may be used. 4. No acrylic or gel paint or nail polish of any sort may be used at all. Hand painting is not allowed on top of the nail to enhance the design. 5. Glitter powder may be used (any size) but must not be included in more than 10% of the design. **6. The design must not cover more than 10 % of the nail bed. This is to allow the nail bed to show through. 7. Embellishments may be used. 8. All work must be done on site. No pre-work is allowed. 9. NO Theme – Just follow the rules! 10. Surface of the nail enhancements must be flush—NO raised surfaces. “C” curves range between 40% and 50%. The thinness of a salon style nail, approximately .03 to .05 inches, is ideal. Credit card thickness for example. 12. All files and buffers must be clean and unused; buffing products are allowed. 13. Only water may be used. Cleansing products (soaps, etc.) and moisturizing products (oils, creams, lotions, etc.) are NOT allowed. Bowls containing marbles or other substances are not allowed. 14. All nail enhancements must be finished to a high shine by buffing, applying top coat or using a UV gel sealant. No other polish, including glitter polish, is allowed. 15. Extreme Stiletto with Design Competition Nails will be judged in the following categories: lateral structure & shape, finish work, theme, design, surface structure & “C” curves, product control & cuticle area, complexity of design, detail, length, color, balance of design & overall impression. 16. Any Extreme Stiletto with Design Competition Nails that win, or has already won, first place at a NAILPRO competition cannot be reused by the winner or copied by other competitors in subsequent NAILPRO competitions. The NAILPRO competition staff reserves the right to disqualify any design it considers too similar to a winning design. Any discussion with the NAILPRO competition staff about designs will be held in strict confidence. Property of Nailpro Competition @2017 Creative Age Publications. All rules including judging criteria are NOT ALLOWED TO BE USED UNLESS WRITTEN APPROVAL IS GIVEN FROM NAILPRO COMPETITION DIRECTOR ONLY! All Nailpro Competition rules are copywritten and All rights reserved. 1. Competitors will have 1.30 hours to complete one hand of a set of salon-style nail extensions on yourself. You may not have a model or any assistance from anyone. 2. You must use either flat paper or metal forms or tips. White tips are NOT allowed (clear or natural tips only). 3. Competitors must use professional products only. Enhancement products containing glitter and/or any other color are NOT allowed. You may use cover pink. 4. Embellishment(s) may NOT be used. 5. The natural nails may be prepared for product application before the competition starts, but product may NOT be applied until the competition begins. 6. No colored or clear products of any type may be applied to tips prior to attaching them to the natural nail. 7. Only unaltered clear adhesives (gel-type, brush-on, tubes, etc.) may be used to attach tips to the nail. No plastic type molds of any kind may be used to form the sculptured nail. 8. All enhancement products must be applied after tips and or forms are applied to natural nails. 9. No products, such as inverted tips or any “cookie cutter” products may be used to form or assist in making a smile line. All smile lines must be done with a brush by hand. Paint on white is not allowed. 10. All files and buffers must be clean and unused; electric files and buffing products may be used. 11. Cleansing products (soaps, etc.) and moisturizing products (oils, creams, lotions, etc.) are allowed. Excessive use of oil is not permitted. It will be at the judge’s discretion to deduct points for excess oil. 12. A nail enhancement on one nail (competitor’s choice) must be polished with red cream polish or if using gel, a gel polish. Gel contestants may use red polish. Base coat, ridge filler and top coat are allowed. 13. The unpolished nail enhancements must be French-style (pink or clear and white), finished to a high shine. A gel sealant may be used, but hand must be completely free of polish. 14. On My Own will be judged in the following categories: smile lines, “C” curves, cuticle area, shape, product control, surface structure, presentation, lateral structure, length, polish or color application, finish work, and overall impression. 1. Competitors may submit more than one entry, but must pay a registration fee for each entry. If submitting more than one entry, only the points from the highest scoring entry count towards the NP Cup both individual and team. 2. All work, including model preparation, must be completed prior to the competition. No work station, seating or electrical outlet will be provided. **3. All work must be done and completed by the registered competitor. Including hair and makeup. 4. All nail art must be made from professional nail products (colored liquid-and-powder acrylic, light-cured gel, wraps and resin, polish, rhinestones, etc.). 5. Embellishments may be used, but must NOT exceed 25% of the overall design. 6. The model must be in costume and prepared for judging at the scheduled report time. There will be NO briefing for this competition. 7. Models will stand during the judging process and must be able to walk in costume without assistance. **8. The theme for Fantasy Nail Art competition is ANCIENT ROME. The theme must be followed on all ten nails. **9. Competitors may NOT use any copyrighted art, designs or logos. Penalties for using copyrighted logos will be given at judge’s discretion. **10. Nails must be incorporated into the design. They may NOT serve only as base. There will be a 10-point deduction if nails are not incorporated into design. Each individual nail must be attached to each individual nail bed of the model’s hand. It must not be separate from the model’s nail or attached to the fingers or hand in some way as to “appear” as though it is attached. Each piece of art can be interlaced with the other nail art but must be a distinctly separate attached nail. Size of art pieces will not be a consideration in judging however complexity will. 11. Props may be included as part of the costume, but must be smaller than the model. No additional consideration will be given to handmade costumes and/or props. 12. Competitors must prepare and submit a written statement in two parts. One detailing the products and processes used to create the art, and one telling the story of your interpretation of the theme. Failure to provide this information will result in a 5-point deduction in overall score. Do NOT name specific brands or manufacturers, and DO NOT INCLUDE YOUR NAME. 13. Entry will be judged on presentation. 14. Fantasy Nail Art will be judged in the following categories: originality, color, costume, design, visual interest, balance, overall impression, presentation, complexity, workmanship, details and theme. 15. Any Fantasy Nail Art design that wins, or has already won, first place at a NAILPRO competition cannot be reused by the winner or copied by other competitors in subsequent NAILPRO competitions. The NAILPRO competition staff will disqualify any design it considers too similar to a winning design. Any discussion with the NAILPRO competition staff about designs will be held in strict confidence. 1. Competitors may submit more than one entry, but must pay a registration fee for each entry. Only entries which make it into the top 10 count toward NAILPRO Cup. If submitting more than one entry only for on-site competitions, only the points from the highest scoring entry count towards the NP Cup, both individual and team. 2. 3-D Nail Art entries may be turned in by someone other than the competitor. You do not need to be present at the competition to enter this competition. 3. A 3-D Nail Art entry must consist of a set of 10 individual manufacturer tips. They may not be constructed by a lay person. They must be from a manufacturer box. The length must be no longer than 2” in length and no wider than 3/4” if they were flattened out. Tips must be graduated in size. Finished tips must be wearable. The design must not extend more than 1″ in height. Tips must remain individual and not be secured to one another. Design may encompass all 10 tips as a picture, but tips must remain individual. If tips do not meet the requirements, the design may be disqualified or receive a point deduction. **4. The theme for 3-D Nail Art competition is BARNUM CIRCUS. The theme must be followed on all 10 nails. 5. All work must be completed prior to the competition. No workstation, seating or electrical outlet will be provided. 6. Original tip color does NOT matter. 8. Embellishments or adornments may be used, but must NOT exceed 25% of the overall design. 9. Top coat, UV gel sealant or glitter polish may be used. **10. Competitors may use a similar version of copyrighted art, design or logo but they must not be identical to the original. If artwork does not follow criteria judges will determine point deductions. 11. Competitors must prepare and submit a written statement in two parts: one detailing the products and processes used to create the art (do NOT name specific brands or manufacturers), and one telling the story of your interpretation of the theme. Failure to provide this information will result in a 5 point deduction in overall score. DO NOT INCLUDE YOUR NAME. **12. On-Site – Display: Ten tips must be SECURELY fastened to a plain (one color no texture no mirror), flat surface for the judging process. The size of the mounting surface is to be a maximum of 6 inches wide by 8 inches deep by ¼ tall and it must be FLAT, FLUSH AND STURDY. Any entries that do NOT meet this requirement will be disqualified at the time of turn in or judging. 14. 3-D Nail Art will be judged in the following categories: originality, visual interest, color, presentation, balance, design, dimension, overall impression, complexity, workmanship, tip length and theme. 15. Any 3-D Nail Art design that wins, or has already won, first place at a NAILPRO competition cannot be reused by the winner or copied by other competitors in subsequent NAILPRO competitions. The NAILPRO competition staff reserves the right to disqualify any design it considers too similar to a winning design. Any discussion with the NAILPRO competition staff about designs will be held in strict confidence. **1. Competitors may submit more than one entry, (does not apply to on line competition) but must pay a registration fee for each entry. Only entries which make it into the top 10 count toward NAILPRO Cup points. If submitting more than one entry, only the points from the highest scoring entry in the top ten count towards the NP Cup both individual and team. 2. Hand Painted Nail Art entries may be turned in by someone other than the competitor. You do not need to be present at the competition to enter this competition. 3. A Hand Painted Nail Art entry must consist of a set of 10 individual manufacturer tips. They may not be constructed by a lay person. They must be from a manufacturer box. The length must be no longer than 2” in length and no wider than 3/4” if they were flattened out. Tips must be graduated in size. Finished tips must be wearable. The design must be done by hand painting only. Tips must remain individual and not be secured to one another. Design may encompass all 10 tips as a picture, but tips must remain individual. If tips do not meet the requirements, the design may be disqualified or receive a point deduction. **4. The theme for Hand Painted Nail Art competition is THE CHOCOLATE FACTORY. The theme must be followed on all 10 nails. 5. All work must be completed prior to the competition. No work station, seating or electrical outlet will be provided. 6. Tip original color does NOT matter. **7. All work must be done by hand painting only. Absolutely no airbrushing or gel polish allowed. Only paint and nail polish may be used. Any type of stamping is not allowed. 8. The surface of the tips must be flush; NO raised surfaces. **9. Top coat or UV gel sealant may be used but must NOT contain any glitter. **11. On-Site – Display: Ten tips must be SECURLY fastened to a plain (one color no texture no mirror), flat surface for the judging process. The size of the mounting surface is to be a maximum of 6 inches wide by 8 inches deep by ¼ tall and it must be FLAT, FLUSH AND STURDY. Any entries that do NOT meet this requirement will be disqualified at the time of turn in or judging. 12. Competitors must prepare and submit a written statement in two parts: one detailing the products and processes used to create the art (do NOT name specific brands or manufacturers), and one telling the story of your interpretation of the theme. Failure to provide this information will result in a 5 point deduction in overall score. DO NOT INCLUDE YOUR NAME. **13. Entry will be judged on presentation. **14. Hand Painted Nail Art will be judged in the following categories: originality, visual interest, color, presentation, balance, design, detail, overall impression, complexity, workmanship, tip length and theme. 15. Any Hand Painted Nail Art design that wins, or has already won, first place at a NAILPRO competition cannot be reused by the winner or copied by other competitors in subsequent NAILPRO competitions. The NAILPRO competition staff will disqualify any design it considers too similar to a winning design. Any discussion with the NAILPRO competition staff about designs will be held in strict confidence. Competitors may use a similar version of copyrighted art, design or logo but they must not be identical to the original. If artwork does not follow criteria judges will determine point deductions. All work must be done by hand painting only. Only paint and nail polish may be used. No Gel polish.